I thank God along with you for a century-long ministry of the National Council of Churches in India. I welcome all of you to this new quadrennial period of renewed vision and commitment. I am grateful to all of you for unanimously electing me to be the President of this national ecumenical movement which, in the past, had been led by great ecumenical leaders like Bishop Vedanayakam Azariah. All the members of the Presidium will be working as a team. I request the full support of my friends. Let me take this opportunity to bring greetings from Church of North India of which I am the Deputy Moderator and also from the Diocese of Jabalpur where I serve as its Bishop. We were privileged to host the quadrennial assembly of NCCI from 27 to 30 April, 2016 in Jabalpur. Our diocese was greatly blessed by your presence and participation. I have drawn major insights of this “Vision and Mission” paper from the findings and recommendations of the SPP. To those I have added insights from my own experience a minister of the Church. Affirming our identity is the first step in articulating our vision. We are our country’s national ecumenical movement. 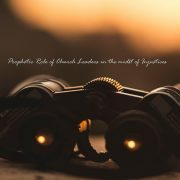 This has been recognized and appreciated by people like Jawaharlal Nehru. We made rich contribution in the national scenario, especially in the area of humanitarian help. We thank God that we have a very large constituency consisting of 30 member churches, 17 regional councils, 7 related agencies, 17 All India Christian Organizations, several autonomous bodies like India Peace Centre and URM, and a full-fledged activity-oriented secretariat. The question we need to ask ourselves is whether we are able to keep up our identity as the national ecumenical movement with our head high in the civic society. Does our country know about us? Do all the member churches consider NCCI as an integral part of their life? We may not get satisfactory answers to these questions. Therefore, this is an area where we need to give attention. A major dimension is stated in the SPP document. “NCCI envisions just and inclusive communities which enable the full realization of the human potential individuality and collectively, and live together in harmony and peace. Another dimension is the vision of a community of believers who live beyond the barriers of denominations, castes and class. Yet another dimension is the vision of a corruption-free Church and church leaders who live a Jesus-model life. We are called upon to revitalize and enhance the inner spiritual and social strength of the constituencies, especially the member churches. We are called to facilitate and strengthen the ecumenical bonds of unity among the churches as a visible expression of being members of the one body of Jesus Christ. We need to be strongly involved in nation-building. Often, we shy away from getting involved in activities of local communities because many of us think that our business is in the “other worldly matters” only. Christians need to give leadership in civil services. 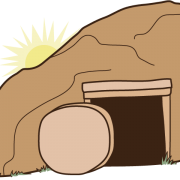 Panchayats and local civic organizations need to have full participation of Christians. NCCI can offer services for the light assessment of its member churches and other constituencies to help them to understand where they stand in terms of transparency and accountability. We have to affirm our solidarity with all the initiatives related to Dalits, tribals, women, children, youth, migrants, linguistic minorities, People living with disabilities (PWDs), people living with HIV/AIDS (PLWH), Lesbian, Gay, Bi-sexual, Trans-sexual, and Queer (LGBTQ). We need to affirm our solidarity also with people of other faiths. They are our brothers and sister. We need not follow their faith, yet we can respect their faith. This will create communal harmony. In all these we have to remember that our mission affirms the core gospel values of equality, dignity, justice, love, peace, inclusion, transparency and accountability. So let us focus on the strategic objectives for the period 2014-2020 as they are specified by SPP. Actualizing a just and inclusive Church for all. As per the decision of the Assembly, we will have only one Programme Committee which will focus on our vision and mission and organize the activities of NCCI. I request you to nominate people with vision, commitment and expertise to the programme committee. Let us remember to be inclusive – women, men, youth and other deserving categories. As far as possible let us make decisions by consensus only. Let us not bring personal grudges and divisive attitudes in the management of our ecumenical movement. Team work will be the model of our activities. This has to be true in our committee assignments as well as in the work of the secretariat. The new programme committee will enhance team work. I request you to support me with your help, suggestions and prayers. 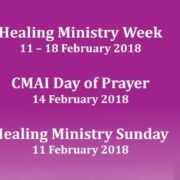 CMAI | Healing Ministry Week | February 11 - 18, 2018. 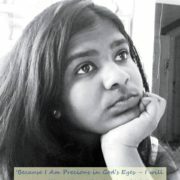 Meditation on ‘Inclusiveness’ NCCI CONDEMNS CONTINUING ATROCITIES ON CHRISTIAN MISSION WORKERS.